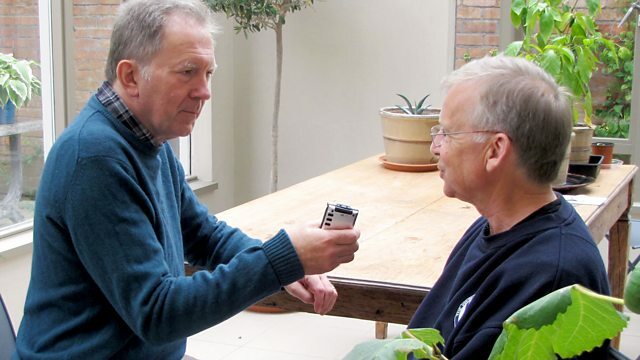 Andrew Green and students at the University of Hertfordshire create an instant oral history archive on the subject of retirement across one weekend. The word "archive" conjures up images of dusty shelves and gradual, patient accumulation of historical material. But what if an archive could be created in a matter of hours - an instant history? Oral history projects abound across the country but, at the University of Hertfordshire, the exercise has been dramatically condensed to create so-called instant histories on subjects including supporters of Stevenage Football Club and memories of British migrants to the Antipodes. The instant history concept has been developed at the university by the likes of Professor Owen Davies, Dr Anne Murphy and Visiting Research Fellow Andrew Green, who presents this Archive on 4. Across a single weekend at the end of October, the members of the university's oral history team tackled a project on retirement in 2016. They spread out far and wide to interview people from many walks of life who have either just retired or are about to cease full-time employment. Interviews took place as far afield as Llandudno, Scunthorpe, Ipswich and Cheltenham with interviewees from nursing, the steel industry, firefighting, City finance, carpentry and international engineering, teaching and supermarket management. A first-class cricketer talked about what it means to retire in his thirties. The founder of an addiction treatment centre spoke movingly of the scale of the crisis she addressed in her career. This programme features choice extracts from the newly created archive. Andrew Green explains the processes involved in enabling a stranger to tell their story, and examines the potential conflict between academic history and the subjective narration of personal stories, opinions and feelings in an oral history.